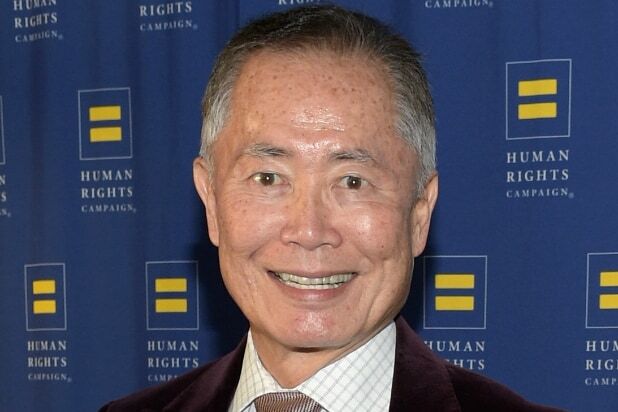 “Star Trek” alum George Takei is calling upon his fans to stage a boycott of Indiana over a new law that many fear will allow businesses to refuse service to LGBT customers. “I am outraged that Gov. [Mike] Pence would sign such a divisive measure into law. He has made it clear that LGBT couples, like Brad and me, are now unwelcome in his state,” Takei wrote in a Facebook post on Thursday. “I will join many in demanding that socially responsible companies withdraw their business, conferences and support from his state and that LGBTs and our friends and supporters refuse to visit or do business with Indiana,” he added. In a Wednesday Facebook post that garnered over 75,000 “likes,” Takei asked fans — and especially his legion of followers within the gamer community — to ask Republican Gov. Pence to veto the bill, or boycott the state if it were signed into law. “If it goes into effect, Indiana will be marked as a state where certain people are not welcome, and so we will not visit,” Takei wrote. “We will not spend. And we will not attend events, including GenCon, the world’s largest gaming convention, held in Indianapolis each year,” he added. On the surface, the law reinforces protections on religious freedoms for individuals and businesses. But critics like Takei see this bill as a thinly veiled effort to allow businesses to discriminate against LGBT customers based on the proprietors’ religious beliefs. Language in the bill would prevent gay customers who have been refused service at a wedding florist, for example, to take that business to court. “The notion that this bill was not driven by animus against our community is belied by the record and frankly insulting,” Takei wrote on Thursday. A similar measure passed the Republican-led Arizona legislature in 2014 but was vetoed by Republican Gov. Jan Brewer in February of that year. A few months later, Mississippi’s governor signed into law a revised version of that state’s proposal, which is fairly close to the federal Religious Freedom Restoration Act passed by Congress in 1993 — which remains law.